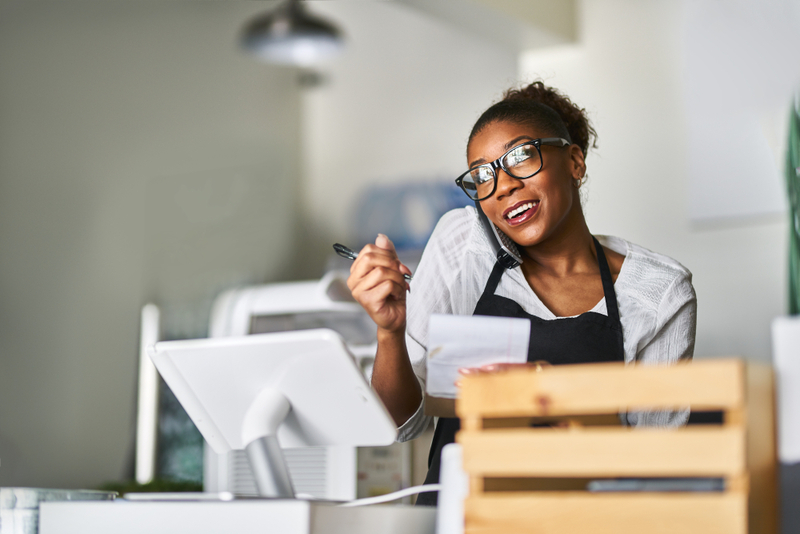 As the New Year begins and you’re looking for ways to revamp your restaurant, whether it’s inventing new menu items or cracking down on your business’s efficiency, one thing that you may notice that needs an upgrade is your restaurant uniforms. With your uniforms’ wear and tear and outdated look, you simply don’t have the time and energy for upkeep of your business’s apparel. Not to mention that your uniforms are detracting from your employees’ ability to do their job and they just don’t look professional. Changing out your uniforms may seem like the clear answer, but it’s not just about purchasing new apparel and not having to worry about resupplying them again. It’s also about switching over to uniforms that can stand the test of time, so you don’t have to continue circling back to damaged, unusable uniforms. The primary function of restaurant uniforms is to protect employees and their clothing from potential spills. This doesn’t mean that they have no other impact though. 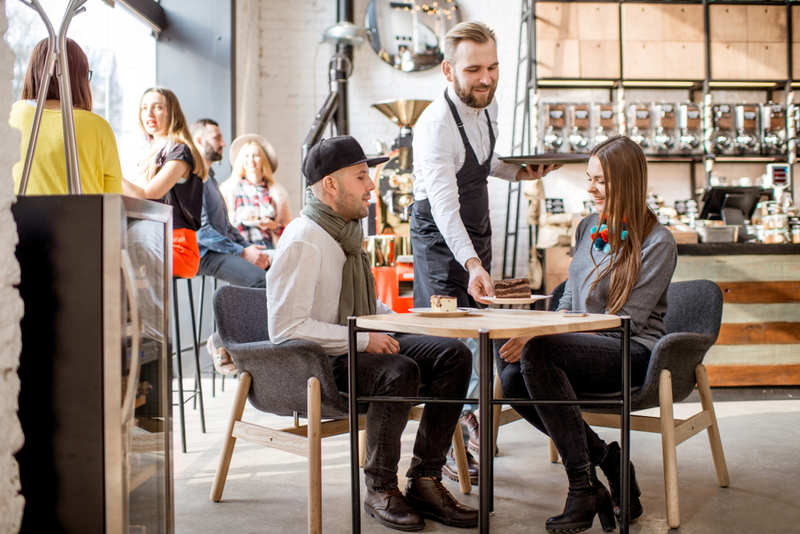 Restaurant uniforms, along with a clearly clean atmosphere, tell customers almost everything they need to know about your business because a clean, professional uniform can give them an impression of how clean their food is. Uniforms covered in stains will make your customer anxious. Therefore, when selecting uniforms it’s important to look for ones that not only look good, but to also consider how many you’re going to need extra so that if employees get their uniforms dirty, they can easily change. You should also consider how you’re going to maintain your apparel. We recommend getting your uniforms through a rental program that both provides you with durable uniforms and launders them for you. By doing so, you get uniforms that are long-lasting and look great. But it’s also not just about looks and function. Someone does have to wear your restaurant uniforms, after all. 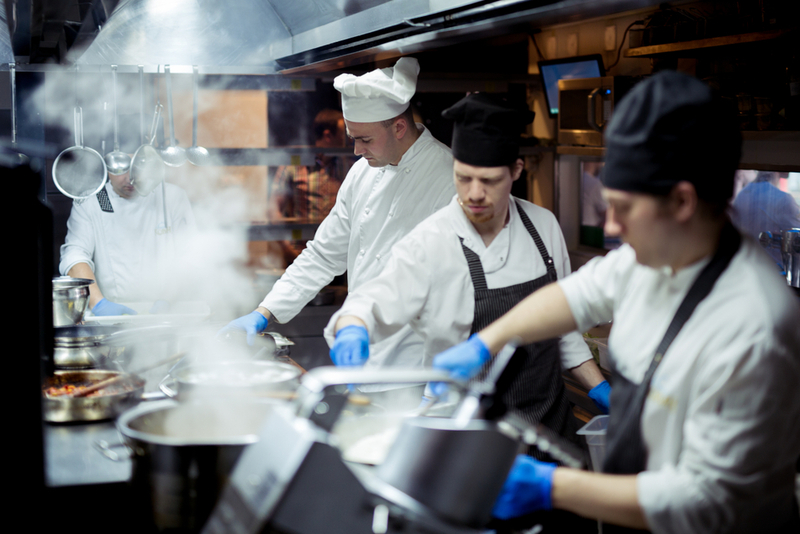 In the heat of the kitchen and the long hours spent rushing around, preparing the perfect meal, the physical demands of the job can take a toll on your employees. This matters because by experiencing discomfort and fatigue on the job, your employees may struggle with burnout, start making mistakes from a dip in productivity, and may even start taking more sick days. While you can’t change the known fact that working in a kitchen is a demanding job, you can find things that you can do to relieve tension and discomfort on the job. Something as simple as making sure your employees’ restaurant uniforms are lightweight and breathable can reduce the stress of the job. We’d be lying if we said that money shouldn’t be a big determining factor in what products you’re going to pay for. But when we say to look at the cost, we don’t mean just the upfront cost. We mean everything that goes into acquiring and maintaining restaurant uniforms in your business. While a uniform may seem cheap at first and fall into your criteria of lightweight yet durable, you may be in for a treat you don’t really have room for. And that’s laundry machines. Sure, you can recommend that your employees take their uniforms home to launder them, themselves, but then you risk the cost of them laundering their uniforms improperly. You have no guarantee they’re going to get that stain out or get the uniform as clean as it needs to be for food safety or do any of the other things they should know about laundry. Your kitchen staff are cooks, not professional launderers. So, if you want the job done properly and want to save on costs in the future, you should focus on acquiring uniforms through a laundry program that will save you time and money in the long haul. Knowing what uniforms will save you money in the long term, which restaurant uniforms are best suited for kitchen comfort, and knowing how to tell their durability by simply looking at a tag or online description isn’t easy. And you shouldn’t have to go through a long, complicated process just to get the right apparel for your employees. At Coast Linen, we make it easy to find what you need, create a pickup and delivery schedule that works for you, and take care of all of your restaurant’s laundering needs. Our restaurant uniforms are lightweight, durable and breathable and with a uniform program, you won’t need to worry anymore about constantly replacing your uniforms with something better. Everything we provide is always that topnotch quality you’d expect in your first delivery. To learn more about our chef uniforms and our other restaurant linen services, contact us at 732-775-2000.